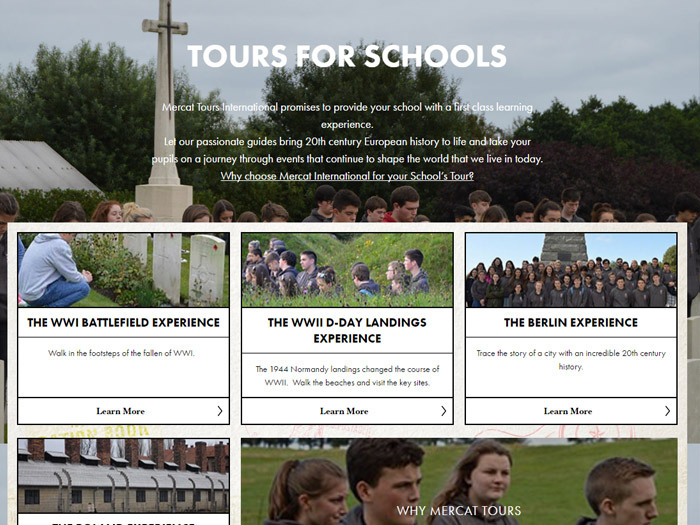 Mercat Tours International organise school and group trips to historical sites across Europe. 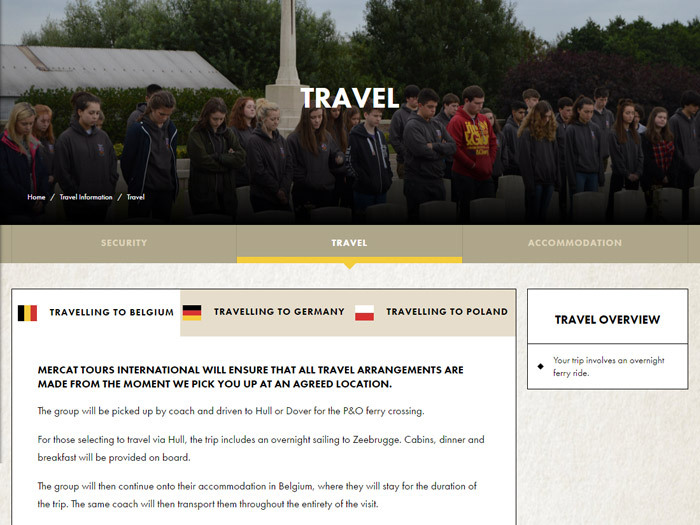 The site was designed to showcase the trips available and their itinerary. I was responsible for building the back-end admin sections as well as coding the front-end of the site. The site has a sticky side nav throughout, which expanded for sub navigation. I used css media queries to adjust the fornt size and spacing on different device sizes. 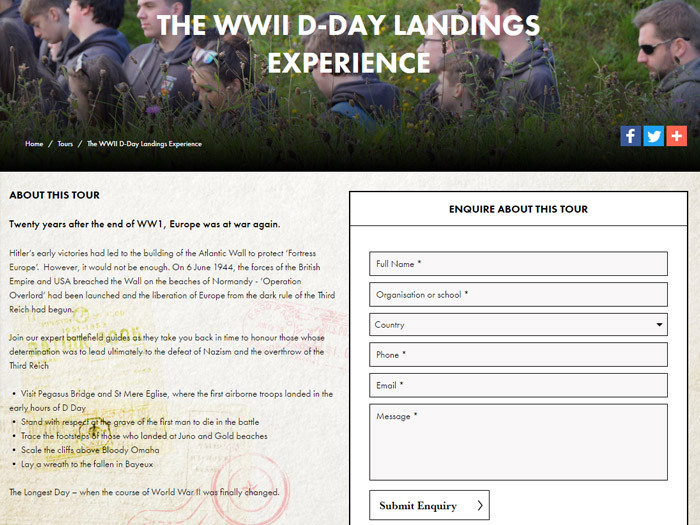 The site design follows a consistent grid and layout throughout so was easy to re-use chunks of code. The layout and design for this site changed a lot during development, so it's maybe not one of my favourite sites but it was good to code. It has a mixture of tabs, sliders, fixed positioned divs, absolute positioned divs, maps and contact forms, so I learned a lot during it.